UNITED STATES: A division of Statoil is interested developing a floating offshore wind project off the coast of Hawaii, US. The Norwegian firm responded to the US Bureau of Ocean Energy Management (BOEM)'s call for commercial nominations of interest in two sites totalling 485,000 acres off the Pacific islands. Statoil, however, did not submit a lease request or specific project proposal to BOEM, said an agency spokesman. BOEM said it was still determining whether the sites off Hawaii were suitable for development. "Hawaii, among other areas off US and Japan for example, are interesting areas for Statoil for developing floating offshore wind," said a Statoil spokeswoman. "Hence we have shown interest in these areas to be prequalified in case of future possibilities," she added. Statoil is developing the world's the first commercial-scale floating wind farm, Hywind Scotland, off the coast of Scotland. It has not previously expressed interest in wind sites in United States waters. The two Hawaiian sites off Oahu have already drawn a proposal for floating offshore wind projects from a division of Oregon-based Progression Energy, which plans to develop 400MW. Also interested is Denmark's Alpha Wind Energy, which plans to develop two 408MW floating projects. 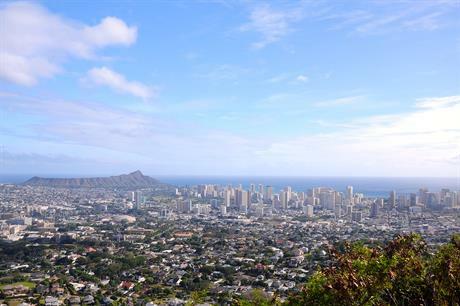 Oahu is Hawaii's third largest island but includes state capital Honolulu and is the archipelago's most populated island.